The loan commitment is the beginning of the final stage in the home mortgage financing process. It is the lender’s conditional promise to offer a mortgage loan to a specific buyer for a specific property. Condition #1: The property must meet the standards of the lender in terms of value and condition. Lenders need to be sure the property is a reasonably sound investment because they could acquire the property if the buyer were to default on the loan. Major purchases, especially those that increase the buyer’s total debt, negatively impact the buyer’s ability to repay the loan. Missing a payment negatively impacts the buyer’s creditworthiness. A change in income, perhaps because of a change in employment, alters the buyer’s original debt to income ratios. Both Realtors and lenders will advise home buyers to avoid making any major purchases, job changes or late payments in between the time they make loan application and close on a house. Unfortunately, buyers often underestimate the seriousness of this warning. They see loan commitment as a green light to move on with their lives and go out and make purchases to prepare for that new life. This can leave them with a bunch of new stuff and no place to keep it. The loan commitment is not some legally binding guarantee of a mortgage. It’s simply a signal from the lender to all parties in the transaction that the deal is on track and can proceed to the final stage of the mortgage process as planned. This is a reassurance to the seller who has taken their home off the market (and off the radar of other potential buyers) in anticipation of closing this sale. It is also helpful to the Realtors® who are investing time and energy into closing the transaction smoothly. Based on my assessment of these items, [Client Name] has been approved for a [Type of Home Loan] to purchase the subject property at the offer price of [$$$,000] and terms listed in the purchase contract. Verification of all information supplied at the time of application. I am looking forward to working with you towards the successful close of this transaction. You can trust that my team will keep you informed every step of the way. 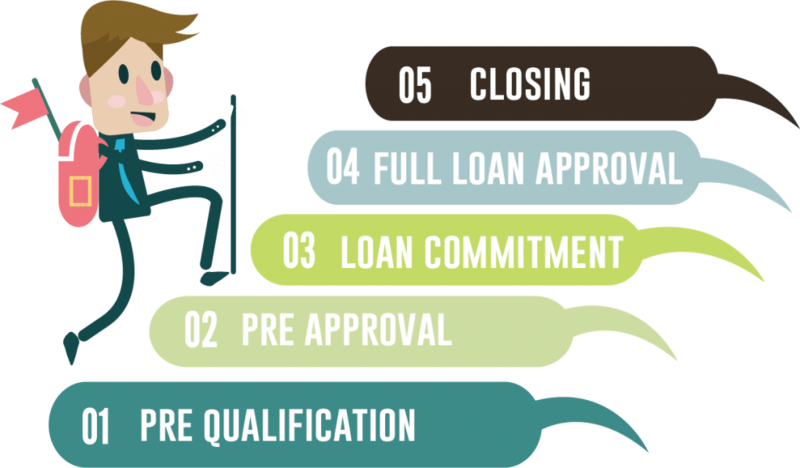 Many buyers are confused by the loan qualification process. The terms “pre-qualification”, “pre-approval”, and “loan commitment” all sound like they might mean the same thing. But they are, in fact, all different stages of the mortgage approval process. Buyers should progress through each stage in order. Pre-qualification simply provides a guideline for how much money buyers can afford to spend on a home, given their financial situation. Buyers can get pre-qualified online in minutes. Because pre-qualification is helpful in determining a housing budget, buyers should get pre-qualified before they even begin looking at homes. This will ensure that they are looking in the correct price range. For more information on pre-qualification, visit our Mortgage Pre-Qualification Guide. Pre-approval goes a step further; it looks at the buyers’ creditworthiness and the likelihood that they will repay the loan. Pre-approval requires a credit check by a lender. This stage should be completed before making an offer on a house. Offers from pre-approved buyers are stronger than offers from buyers who are only pre-qualified. Pre-approval demonstrates to the seller that the buyer is serious and most likely will be able to obtain financing to close the deal. Again, sellers do not want to take their house off the market unless they are fairly certain the transaction will be completed. If you’d like more information on pre-approval, read our article, What is the Difference Between Pre-Qualification and Pre-Approval? Once the buyer’s offer on a home is accepted by the seller, the buyer can request loan estimates from multiple lenders to find the lender offering the best terms. And once a lender has been selected, the lender will review the file and provide a loan commitment letter confirming their intention to provide funding for the purchase, as long as both the property and the buyer’s financials meet the lender’s criteria. You’ll notice that, unlike the pre-qualification and pre-approval, which each evaluate only the buyer, the loan commitment conditions require an evaluation of both the buyer and their chosen property. To satisfy the condition relating to the buyer’s financials, the buyer must provide up-to-date documentation of their financial position, source(s) of income, and creditworthiness. To satisfy the condition relating to the property, the property must appraise for the purchase price (or greater) and may need to pass a physical inspection. Buyers obtain pre-qualification so they know what price ranges to consider. Buyers obtain pre-approval from a lender so they will able to make a strong offer on a house when the time comes. Buyers make an offer on a house (accompanied by the pre-approval letter). The offer is accepted, creating a purchase contract. The contract will outline dates and deadlines for contingencies, including a finance contingency for the buyer to obtain a home loan. The buyer sends the contract to all lenders they are considering for the home loan. Within three days, each of the lenders to which the buyers applied will provide a loan estimate. The buyers evaluate the loan estimates and choose the lender offering the best loan option for their situation. From this point, the chosen lender can provide the Loan Commitment Letter and move the transaction into the final stage of the financing process. To reiterate, the loan commitment is conditional, so the loan commitment letter does not constitute official approval of the loan. Official approval can only be granted after the two conditions are met. The buyer’s financials and creditworthiness will be thoroughly reviewed and documented. The chosen property will be appraised and its condition will be assessed. You’ll recall that buyers have already been pre-qualified and pre-approved by this point. But now is the time the lender will really scrutinize the buyer’s financials, credit, and source of income. Buyers will need to provide complete documentation to confirm that they are financially stable and likely able to accept this new debt in addition to their existing debt payments and other living expenses. Buyers will need to provide their most recent financial documents to show that their financial position has not changed since their pre-approval. The lender will also contact the buyer’s employer multiple time throughout the course of the loan application process to confirm that the buyer is still employed in good standing. It is possible for the buyer to fail to meet the condition of the loan commitment, whereby losing their loan commitment and even their pre-approval. 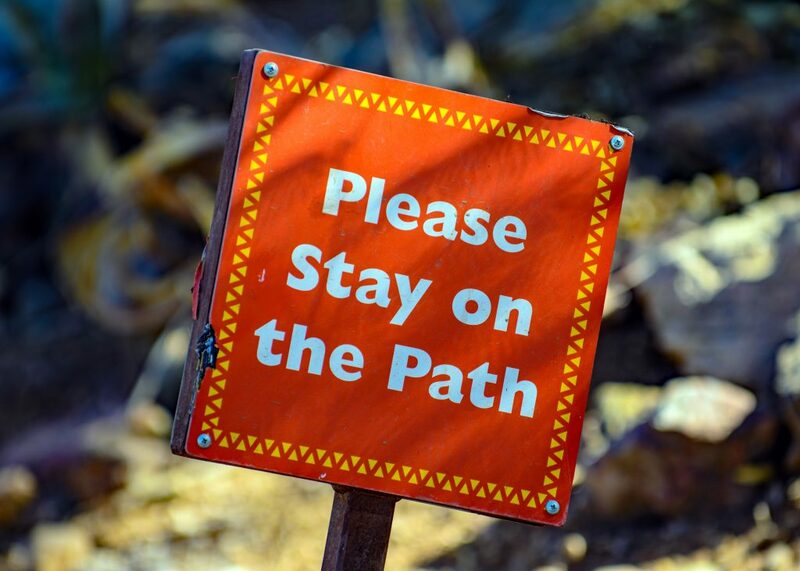 As a general rule, buyers should avoid doing anything that might change their financial position from the time pre-approval is granted until the close of escrow. Massachusetts Realtor Bill Gassett has a great article that explains 14 things a home buyer can do to inadvertently get a mortgage pre-approval revoked. Evaluation of the property always includes an appraisal and often includes an inspection of the physical condition of the property. The lender will order an appraisal, to be paid for by the buyer, and a licensed appraiser will assess the chosen property. The appraiser’s assessment compares the chosen property to similar properties in the area that have recently sold, which allows the appraiser to determine the value of the chosen property under current market conditions. For more information on the appraisal process, check out What You Need to Know About Appraisals. The property’s appraised value must be greater than, or equal to, the contracted purchase price to meet the condition of the loan commitment. This is mainly to protect the lender from loaning money on a property that doesn’t provide enough collateral for its loan. Appraisers have also started to require inspections, or even repairs, of items that materially affect the value of the home (like the roof, heating and cooling systems, or electrical work). The physical condition of the property itself may also be considered during the property evaluation. The standards for the physical condition of the property depend heavily on the type of loan for which the buyer has applied. This is because many home loans are packaged by type and sold on the secondary market to investors. Government-backed loans, such as FHA and VA loans, will have more stringent requirements than standard conventional loans. Learn more by reading Everything You Need to Know About Mortgages. Regardless of loan type, the lender needs to factor in any health and safety issues including lead paint, water intrusion, and potential electrical hazards. Lenders are also concerned about any issues that could potentially damage the structure. Cracks in the foundation, termite infestations and defects in construction could all disqualify a property. If material defects are identified, they may need to be repaired to satisfy the condition of the loan commitment. Afterward, the Appraiser may need to review any repairs or replacements and update the appraisal accordingly. It should also be noted that not all home loans will cover all residential property types. For example, it can be difficult for manufactured homes (often called mobile homes) to qualify for a VA loan. It is possible for the property to fail to meet the condition of the loan commitment and to cause the buyer to lose their loan commitment. Final approval for a home loan can be given only after the two conditions of the loan commitment are satisfied. This is the very last step of the home mortgage financing process and typically occurs immediately before the close of escrow. Until then, buyers should remain exceedingly careful with their finances to ensure a smooth transition from pre-qualification, through pre-approval, through the loan commitment, and finally, to full approval of their loan. Kyle Hiscock talks about the Top 11 Mortgage Myths to be Aware of. This includes a look at pre-qualification and pre-approval myths. Kevin Vitali takes an indepth look at Classic Home Buyer Mistakes in this article entitled “What Not to do Before Closing on your Home that can Derail your Financing“. Are Home Warranties a Good Idea?